Belfast based The Beardy Beard Co produce small batch and handmade beard care products that are very popular. 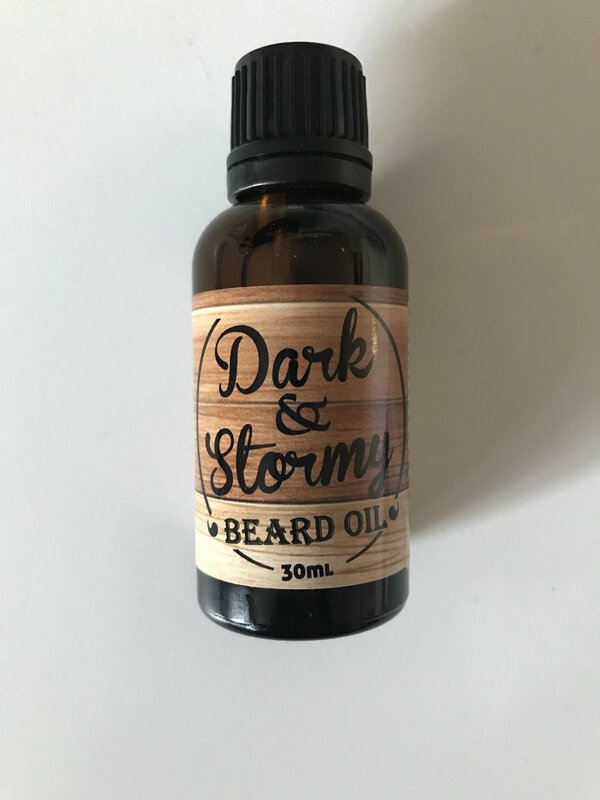 I have reviewed for them a couple of years ago and now I have some more of their products to review and I have been using the ‘Dark & Stormy’ beard oil. Originally came about over our favourite cocktail from the infamous Spaniard Bar in Belfast…a Dark &Stormy made up of dark rum, ginger beer, half a lime squeezed in and a dash of Angostura Bitters. There is nowhere does these quite as good and it was tricky to try and recreate this in scent form but we think we’ve got the balance just right with the perfect amount of ylang ylang, lime, ginger and bay rum essential oils. It’s so good you will want to drink it! The base of the Dark & Stormy oil is a blend of Jojoba, Sweet Almond, Hemp & Grapeseed carrier oils and it is a very nice blend. It left my beard feeling softer and looking good. ‘Jojoba Oil’ – Jojoba oil is one of the most useful oils as it is chemically very similar to the oil secreted by our sebaceous glands. The scent of the ‘Dark & Stormy’ as it says above is Ylang Ylang, Lime, Ginger and Bay Rum and this confused me! When I dropped some of the oil into my palm, I got the scent of a slightly burnt rubber and I know I get that from types of Ylang Ylang and so I assumed this meant it wasn’t the Cananga variety, but it is! So I haven’t got a clue what is going on there. I know scent is personal, what I like another might hate and vice versa but I can still appreciate a scent even if it isn’t to my liking. This scent has been blended nicely and I know that many will and indeed do like the scent and so I won’t mark down too much just because it isn’t one for me. I do mark down when I get scents that are badly blended and that is not the case here! The ‘Dark & Stormy’ beard oil comes in a 30ml glass bottle with a dripper stop and costs £15 from the website. You can also get ‘Dark & Stormy’ as a kit in a tin consisting of a 10ml oil and a 15ml balm for £14.95 from the website.